Want to know more about the exciting apprenticeship opportunities at Silentnight? This live event focused on the apprenticeship programme at Silentnight. The live broadcast featured some apprentices and a recruiter who shared their stories and provided advice on the application process. Silentnight Group make beds & mattresses for the UK & Ireland. Manufacturing & head office functions are based in Lancashire & Cumbria with a small digital team based in Manchester. Silentnight Beds is the UK’s biggest bed manufacturer and an acknowledged superbrand (http://www.superbrands.uk.com/silentnight-beds). Silentnight beds & mattresses are manufactured in Barnoldswick, Lancashire. Other Silentnight bed brands manufactured in Lancashire include Rest Assured, Layezee & Perfecta. Sealy UK (the worlds biggest bed brand and UK #2) manufactures in Cumbria. As a group we produce over 500,000 beds every year and we’ve been the sleep experts since 1946. Our family of brands cover every base from affordable comfort to luxury and hand crafted indulgence. Whatever life stage, age or budget we have a bed or mattress to suit, which is why we can ensure ‘a great night’s sleep for all’. Our award winning apprenticeship scheme has been running for over a decade, providing local young people the opportunity to build a career with the UK’s leading bed and mattress manufacturer. 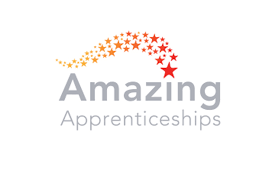 We offer a range of apprenticeships in areas such as manufacturing, junior management, warehousing & storage, human resources, IT, and finance. Our schemes last for 2 years and we guarantee all of our apprentices a full time, permanent position upon successful completion of their apprenticeship. We are committed to the development of our apprentices and provide high quality training so they have the skills and qualifications they need to succeed in their chosen career. All apprentices attend a local College for up to a day a week to ensure they gain a nationally recognised qualification at the end of the two year programme. 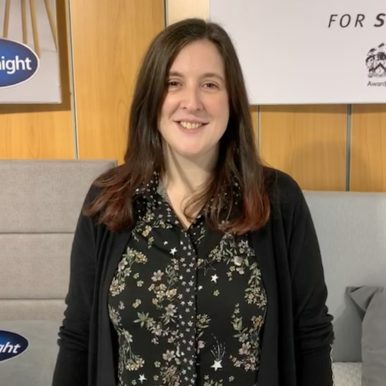 Julie joined Silentnight as Training & Development Manager in 2015, and is responsible for the company’s apprenticeship programme as well as a whole host of other training and development programmes and initiatives. Julie works closely with local schools as an Enterprise Advisor, and is an Apprenticeship Ambassador in the North West. 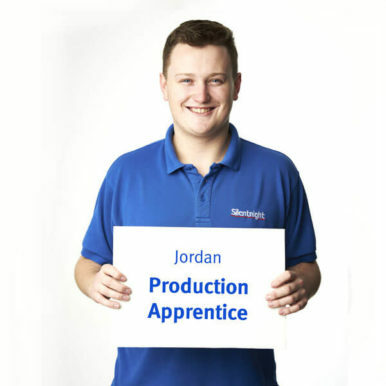 Jordan began his career with Silentnight as a Furniture Manufacturing & Design Apprentice in 2014. After completing the intermediate programme, Jordan progressed onto an advanced apprenticeship, also in Furniture Manufacturing, which he has recently successfully completed. He is keen to continue to develop his skills and knowledge, and is already looking for the next training opportunity. Jordan is a multi-skilled operative in our Mattress department, where he can usually be found operating a tape-edge machine, ensuring that each mattress is finished to a high standard. 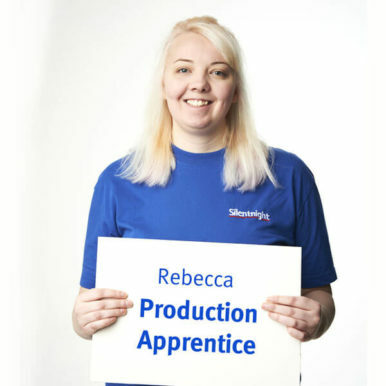 Rebecca joined Silentnight in 2016 as one of the first apprentices in the UK to start the new Furniture Manufacturing Apprenticeship Standards. Following the Bed Manufacturer pathway within the standard has equipped Rebecca with the skills she needs to be successful, and the End Point Assessment process will give her the opportunity to showcase those skills. Rebecca is a multi-skilled operative in our Divan department, where she can usually be found expertly handling an industrial sewing machine, producing high quality components for both mattresses and divans.